Jesus tells us that unless we take up our cross, follow Him, and deny ourselves, we cannot follow after Him (Matthew 16:24). Those are very hard words, but Jesus never promised it would be easy. Jesus reminds us that we all have to make every effort to enter through the narrow door and that many will seek to enter it and won’t be able to. He says, “Strive to enter the narrow door” (Luke 13:24). The Greek word for “strive” is “agōnizomai,” where we get “to agonize,” so it’s certainly not a cakewalk. The Greek word “agōnizomai” means “to contend” and “to struggle with dangers and difficulties,” which fits the context of it being hard to follow Jesus–very hard. 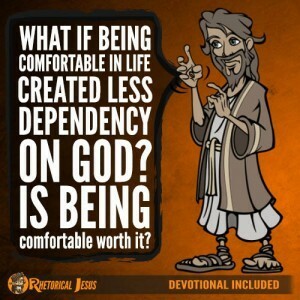 Knowing this, don’t you think that will make heaven that much sweeter? 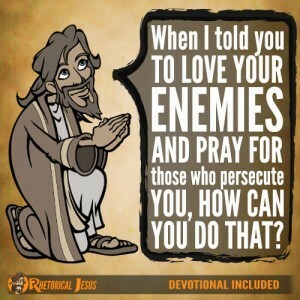 When Jesus gives one of the most serious warnings in all the Bible, He says that many–not a few, but many–will say to Him, “Lord, Lord.” But to these same “many,” He tells them to depart, for He never knew them (Matthew 7:21-23). 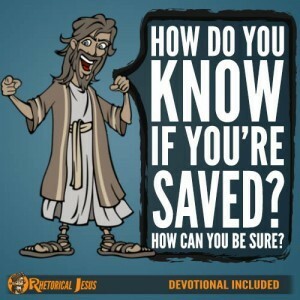 Some people live like the devil, yet say, “I know Jesus.” However, the most important question is, does He know you? The path is broad and wide because many enter through it, but it’s the path to destruction (Matthew 7:13). This is why the way to eternal life is a narrow, difficult path. Jesus isn’t trying to make anyone fearful, He is simply stating the facts and that it’s going to be hard to follow Him. It’s hard, but it’s not impossible. With man it may seem impossible, but with God all things are possible (Matthew 19:26), which is why we look forward in eager expectation to our home in the New Jerusalem. If we realize that nothing in this life of difficulty can ever compare, even closely, to the glory that’s coming, it may make it a bit easier to endure the present suffering (Romans 8:18). Peter warns all Christians that we are called to suffering (1 Peter 2:21). We shouldn’t think it’s strange at all (1 Peter 4:12) but the norm for the Christ-follower. If we know what to expect, then we can endure it a bit better, hopefully. 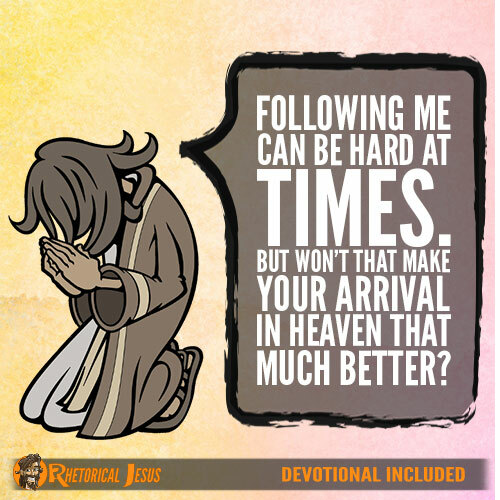 We all know that following Christ is very hard at times, but, oh, won’t that make your arrival in the kingdom of heaven all that much sweeter! Father, I know today is hard and I’m not alone. Oh Lord, I know there are many who are struggling in this life right now and many reading this today who are going through a very hard time. I pray for Your Spirit to encourage them and make them dwell on the amazing and awesome future we all have before us so that we can endure the present, and in Jesus my Lord’s name I pray.